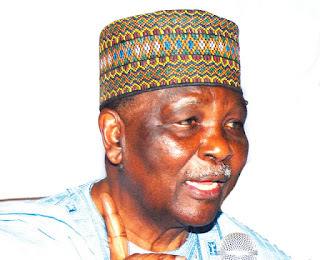 A former Head of State, Gen. Yakubu Gowon (retd. ), said in Kaduna on Thursday that corruption had made governance in the country difficult. He, therefore, argued that the war against the menace must be decisive. Gowon spoke at the Northern Nigeria Stakeholders’ Town Hall Engagement organised by CITA- NGO at Arewa House, Kaduna. The former Head of State noted that corruption was responsible for the deterioration of the quality of infrastructure, healthcare delivery among others in the country. This, Gowon noted, had robbed the government of the respect and loyalty of the citizens and eroded the authority of the state. Gowon stated, “Truth be told, the fight against corruption is a fight that we must overcome, we must win it and win it decisively. The former Nigerian leader said the current economic situation facing the country was one of the most troubling economic crisis ever. Emefile, who was represented by the zonal director of the CBN in Kaduna, Alhaji Ahmed Gusau, said the agricultural sector remained the backbone of the nation’s economy. He said the apex bank had committed N23bn in the Anchor Borrowers’ Programme with active participation across 14 states of the federation. “We are gratified that the CBN’s borrower’s programme, together with other initiatives like Commercial Agricultural Scheme and NIRSAL are proving to be successful in several states,” he said. In his remarks, the Senate President, Bukola Saraki , noted that the role of the CBN in charting monetary policy direction and its economic management role were difficult to understand.